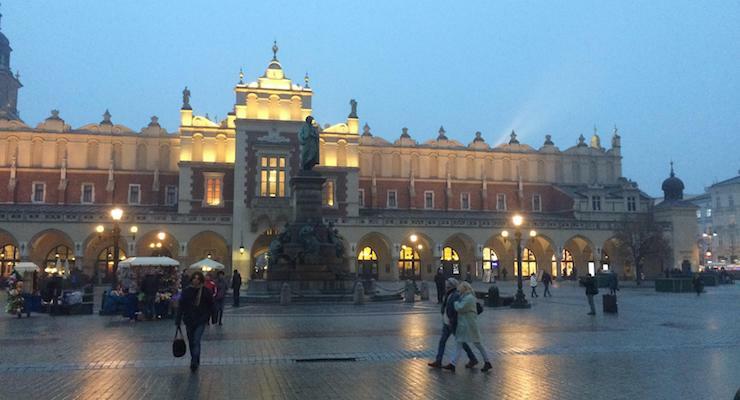 When I went to Kraków for a weekend trip I flew with Lufthansa. 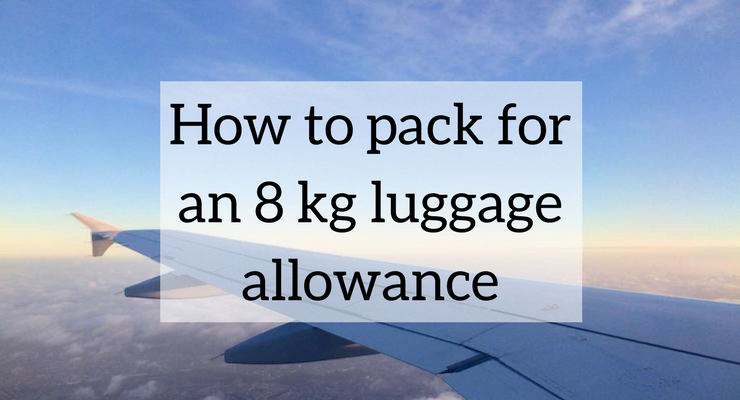 The flight was fine, but the luggage allowance was stress-inducing – it was just 8 kgs, with a maximum bag size of 55 x 40 x 23 cms. This required some very careful thought about how and what to pack. When I first found out about the weight limit I was worried. I couldn’t book any additional luggage. I had to travel with hand luggage only as my flight from London to Kraków was via Munich, with just an hour between flights, and I didn’t want to risk my luggage not making it all the way. I was going to Kraków for work and I had to take my DSLR camera and my iPad with me. Together these two pieces of equipment weigh 1.88 kgs (according to my kitchen scales), eating into nearly a quarter of my luggage allowance. Plus, I was travelling in February, a very cold month in the Polish city, and I was going to be sightseeing, so I had to take warm gear. I thought that there was no way that I’d be able to fit everything that I needed for the trip into my hand luggage. I realised that I was going to have to plan very, very carefully and make a Proper Packing List. I decided that I’d have to be extremely selective about what I took on the trip, wear layers and layers of clothes for the flight, and stuff as much into my pockets as possible. I even considered using a plastic bag to transport my stuff and I seriously considered whether or not I could carry my iPad on my body somehow. I wasted an hour or so online looking at wearable luggage jackets (yes, they’re an actual thing – they have tons of big pockets, and they look horrendous). A friend even suggested cutting my toothbrush in half to make it lighter. But then Lufthansa told me (via Twitter) that I could take a small handbag (measuring up to 30 x 40 x 10 cms) in addition to the 8 kg cabin bag. This made me feel that the luggage allowance might just be achievable, as long as I was very organised. 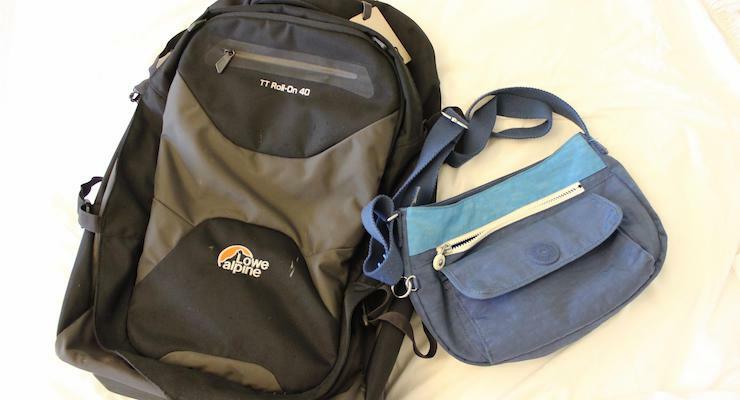 Then, once I laid out everything that I absolutely had to take on the trip, I was astonished to find that I could in fact just about fit it all into my favourite rucksack-on-wheels cabin bag, and my Kipling handbag. (My favourite cabin bag is my trusty Lowe Alpine TT Roll-On 40, which weighs 2.7 kgs. It’s discontinued, but the latest version is the Lowe Alpine Trolley AT Roll-On 40, which looks very good. My kids detest my Kipling handbag but I find it really useful for travelling because it has a gazillion pockets and it weighs practically nothing as it’s made of nylon). So, it was all fine in the end. I managed to pack everything that I needed, without chopping any of my possessions in half or buying a horrific new luggage jacket or wearing all of my clothes. And, just in case you ever have an 8 kg luggage allowance for a winter weekend city break, and as quite a few of you have asked me, here’s what I took with me and how I carried it. I didn’t pack any shampoo, conditioner, soap or shower gel as I was staying in a four-star hotel and I figured (correctly) that these would be provided, as was a hairdryer. I’m pleased to tell you that I used everything that I packed, apart from the smart top (no need) and my sunglasses (it was foggy throughout the trip). The only thing which I had to buy in Kraków was a pair of warm gloves, as my posh cashmere ones weren’t up to the job. I bought some gorgeous soft grey sheepskin mittens from one of the stalls in the Cloth Hall in the historic city centre, and I’m very pleased with them. This experience has made me realise that I usually pack far too much when I travel. It was great not having to wait for my suitcase to appear on the luggage carousel at the airport, and it felt really freeing to have just hand luggage. I’m determined to be ruthless about what I pack from now on, and to try to travel light and not to pack anything that I don’t actually need to take with me. To book a flight to Kraków, check out the Skyscanner website to see which airline has the best deals. If you’d like a guidebook, I recommend Lonely Planet Poland , which I used for this trip. What sort of packer are you? 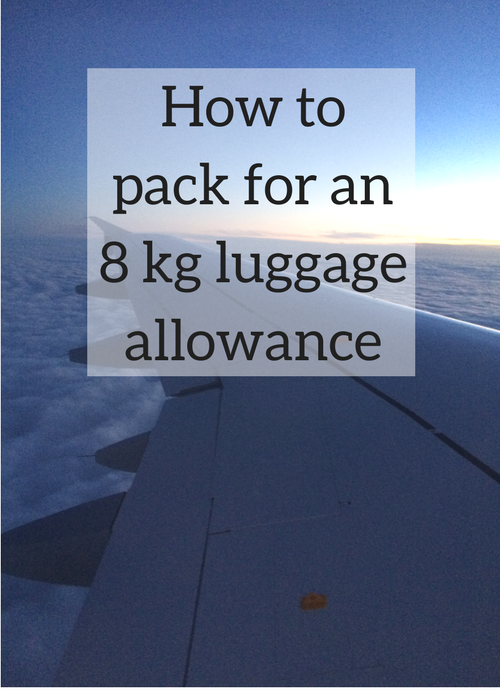 Do you have any tips to share on packing light? The more I travel, the less I pack! Our next trip is 10 days touring Andalucia and I’m doing it all with a carry on bag! So liberating. I agree – I’m definitely a convert to hand-luggage only! Is there hope for me? I’ve started to come to terms with the fact that I am a heavy packer. Could I follow your lead? With this list I just might be able to do it. I reckon that you could do it Jen – I only managed this because I had to! Really useful post. It’s amazing how much rubbish we cart around with us on holiday. I always end up wearing the same outfit every day, but never learn! Will re-read your post before our next family holiday. Great tips – will have to share them with my wife, who likes to pack *everything*. sigh. I am still in awe – I know I am a huge overpacker although since having my daughter and losing most of my luggage allowance to her, I am more ruthless with my own things. This is an inspiration! I envy friends who tell me they never put anything in the hold, they just take carry-on luggage and wash clothes as they need to. I always decant everything into really small containers (should include washing liquid!) and make lists of what to pack, but we all still end up taking too much luggage. Like you, I need to bear in mind that we’re not going to the moon so we can always buy stuff we’ve forgotten – unless it’s something personal like contact lenses or medication. I think it’s really important to get a good carry-on case so I’ve looked up the Lowe Alpine trolley and it has very positive reviews. You’re welcome – thanks Nell! Well done on such light packing! I’m definitely an and-the-sink packer; will save this post for future inspiration next time I’m gawping at my packing list. I was amazed to have managed it – that’s why I thought I should share my list!